If you like this e-zine, please do a friend (and me) a BIG favor and forward it to them. If a friend sent this to you and you like what you've read, please ensure you get YOUR own copy by subscribing here. If you prefer to read this e-zine in your Web browser, click here. 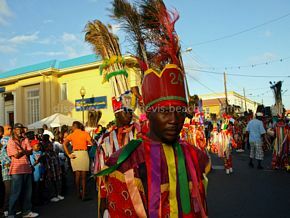 It seems like it was just yesterday that we were smack in the middle of the festive Christmas and Carnival celebrations here in St. Kitts and Nevis. And now it's February already. Where did January go? Well, time sure is flying by. Let me get on with this issue of the SKN Beach Buzz before time leaves me in the dust. In this belated January issue, I'll be taking a look back at Christmas and Carnival. Christmas and Carnival 2013-2014 was a festive time with plenty to eat and drink, lots of family, friends and visitors, endless jamming and parading in the streets, and of course cultural displays by our folklore groups. If you were fortunate enough to be on island during that time, I trust that you had a truly enjoyable time. If you missed it, do plan on being here next time around. If you've ever had the opportunity to experience Christmas and Carnival here in St. Kitts and Nevis, I want to hear from you. Yes I'd love to know what you think about Christmas and Carnival here. 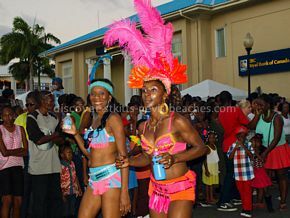 Please feel free to share your thoughts with us via Facebook, Google+ or better yet, share your story and Christmas/Carnival photos here. As we approach the 10th anniversary of this website, I've decided to make some enhancements to the format and content of this newsletter. By far, the most significant change is the introduction of a feature article in the "In Tune With St. Kitts and Nevis" section. Going forward, every regular issue of the SKN Beach Buzz will include a feature article that is related to the newsletter theme for that month. The "Featured Photos" will also be related to the monthly newsletter theme. I am also testing a wider layout for the newsletter. Consequently, the layout of the newsletter has been widened to 600px. Finally, in an effort to add a personal touch to the newsletter, I now personally affix my name written in my own handwriting at the end of the "Editor's Notes" section. It is my hope that these changes will help to improve your reading experience. For most persons the world over, the Christmas season is one to celebrate the birth of Jesus and for family and friends to exchange gifts, eat, drink and be merry. 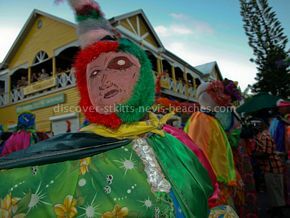 In St. Kitts and Nevis, there is an added dimension - Carnival, now dubbed Sugar Mas. This annual festival is celebrated from around the middle of December until early January. In the past, these two festivities enjoyed what can be termed as a peaceful coexistence, so much so that they were viewed as complementary activities. 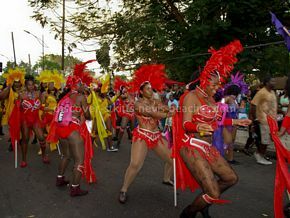 However, in recent times, more and more discussions are taking place about the timing of the Carnival celebrations, and questions are being raised as to whether the time has come for a separation of the two festivities and if Christmas is being overshadowed by Carnival. 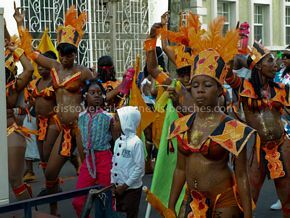 In reflecting on the above, I came up with 5 "things" that signalled to me that it was the Christmas and Carnival Season in St. Kitts. 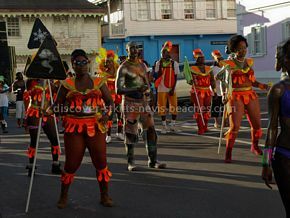 You saw strings of coloured incandescent bulbs lighting the streets of Basseterre and the old Treasury Building at nights from mid-December through early January. Where have all the pretty lights gone? 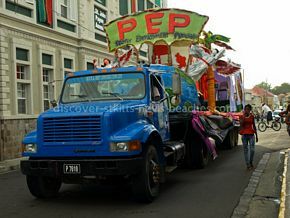 On Christmas Eve, the Carnival activities in Basseterre winded down by 11 p.m. to facilitate the church goers. 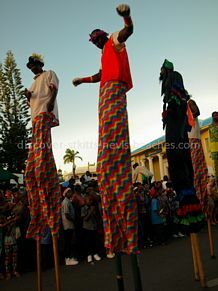 Often times, the regular church attendees would have difficulty getting a seat because the "Christmas jumbies" (those who only went to church at Christmas or New Year's) and persons who were in town patronizing the Carnival activities would flock to the nearest church to ring in Christmas. In current times, you can still find a seat even if you arrive after the service has started. Early on Christmas morning you awoke to the sounds of the string bands playing Christmas carols outside your home and singing tunes such as "Good morning, good morning, this is Christmas morning". After playing their repertoire, the string band players would be treated to ham and bread and other Christmas breakfast goodies, which they washed down with sorrel or Duke (a locally made liqueur). After they had their fill, they would continue on their journey to spread the good tidings throughout the community. 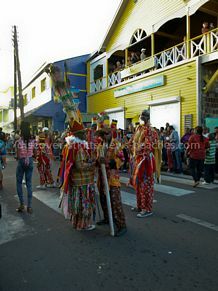 On Christmas and Boxing Day (the day after Christmas), the Christmas Sports or folklore groups, especially the masquerades and bull troupes, went from community to community staging performances for some specific families and the community as a whole. At the end of the performance, there was always a hat or pan that was passed around to collect tips from the spectators to help support the groups. 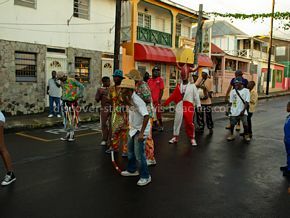 On J'ouvert morning (Boxing Day) the steel bands came out before dawn to play the latest Carnival tunes and revellers (some dressed in pajamas) jammed in lines across the street while hugging each other at the waist. Those were the days of pajama jamming. 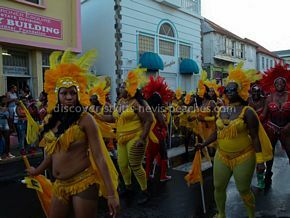 Then from around 7 a.m., the brass bands hit the roads and the pace of the street jamming heated up. Those were truly the good ol' days of Christmas and Carnival, when the traditions associated with each festivity came together to form one melting pot of celebration. 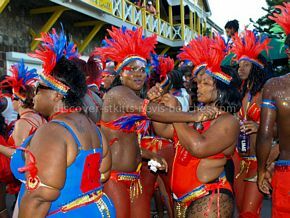 Unfortunately, in current times most of these cherished traditions no longer feature prominently, if at all, in the modern day Christmas and Carnival celebrations. 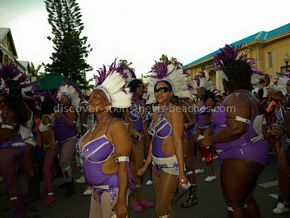 As such, a large percentage of the younger population have little or no appreciation for these traditions. In my humble opinion, a return to some of these traditions would go a long way in adding greater depth and meaning to these two cherished festivities and possibly minimize or even eliminate the calls for them to be separated. Amicia Mussenden is a freelance web copywriter and photographer. 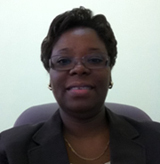 She is the founder and publisher of the Discover St. Kitts Nevis Beaches website. This year, the annual History and Heritage Month of Activities is being celebrated under the theme "Conserving our Environmental Heritage, with special emphasis on Plants." The activities to celebrate History and Heritage Month are jointly organized by the Brimstone Hill Fortess National Park Society, the St. Christopher National Trust and the Nevis Historical and Conservation Society. A ceremony to officially launch the month of activities was held at Romney Manor on Saturday February 1. Heritage Hike at Kittitian Hill on Saturday February 8. Ecumenical Service at the St. George's Anglican Church at 6p.m. on Sunday February 9. Slideshow Presentation on the St. Thomas / St. Anne's Heritage Trail during the morning service at the Half Way Tree Methodist Church on Sunday February 16. Soft launch of the St. Thomas / St. Anne's Heritage Trail, unveiling of the logo and prize giving for Logo Competition Winner on Monday February 17 at 8:30 a.m. during the morning assembly at the Verchild's High School. Panel Discussion on ZIZ Radio and Television on Monday February 17 at 8:30 p.m.
CFBC Cultural Fair from 9:30 a.m. - 4:00 p.m. on Friday February 28. The 12th annual Bente Weber memorial Nevis to St. Kitts Cross Channel Swim takes place on Sunday March 30, 2014. The starting point for the swim is Oualie Beach in Nevis and it finishes at Cockleshell Bay in St. Kitts, for a total swim distance of 2.5 miles or 4 km. Boat transportation for registered swimmers on St. Kitts will depart the Reggae Beach Bar Dock from 6:30 am. 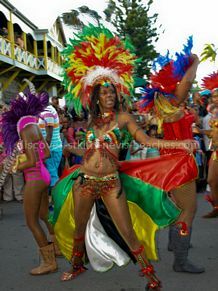 The entry fee to register for the event is US$70.00 (before February 28) or US$75.00 (after March 1). Included in the entry fee is a t-shirt, finisher medal, swim cap, rescue boats and kayaks (in the event a participant needs to rest, feed or stop), prizes and a breakfast party on St. Kitts after the swim, and one way boat transportation (from St. Kitts or Nevis before or after the swim). Prizes will be awarded for the 1st, 2nd and 3rd male and female in the following categories: Under 19; 20 - 39; 40 - 49 and Over 50. Registration for the event closes on March 29, 2014. For more information, contact Winston Crooke of the Nevis Cylcle Club at telephone (869)664-2843 or via email at bikenevis@gmail.com. 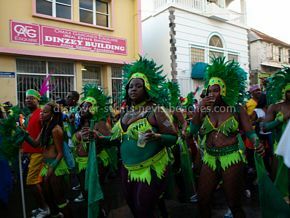 In this month's featured photos, I present some photos of the Sugar Mas Carnival Grand Parade (January 1) and Last Lap Jam (January 2). Best to you and continued success Amicia - you do a wonderful job in spreading the word on the joy and pleasure of visiting and experiencing the lovely islands of St Kitts & Nevis. Thanks so much for your continued information on this lovely island. Walter and I can't wait to return to his grandparents homeland. Until then, stay well And we you and your family a Blessed New Year! Thanks and Happy New Year to all Saint Kitts and Nevis people from Nepal. Hi. The only reason I unsubscribed from your lovely website is because I have just returned from a fantastic holiday on St Kitts and it will be awhile before we are able to come again. When we do get the opportunity I will subscribe again. Many thanks. That's all for this issue. Thanks to all of you who e-mailed to say how much you are enjoying my newsletter. Your comments and suggestions are very much appreciated. Please remember to drop me a line if you have any comments or suggestions. 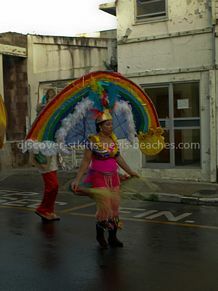 Thank you for your continued support of the Discover St Kitts Nevis Beaches website. Copyright © 2014 Discover-StKitts-Nevis-Beaches.com. All rights reserved. The St. Kitts and Nevis Beach Buzz is a monthly newsletter dedicated to helping you get the best from your visit to St. Kitts and Nevis. I hope you will have lots of fun reading it and will find the information, tips and advice, helpful in planning your trip to our beautiful twin-island Caribbean paradise. Although I have quite a lot in store for you, I would be happy to receive your comments and suggestions for future issues of the newsletter. 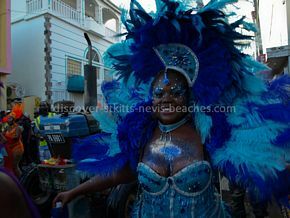 Please feel free to share this newsletter with your family and friends, or better yet, please direct them to the newsletter signup page at http://www.discover-stkitts-nevis-beaches.com/ezine. Discover St Kitts Nevis Beaches respects your privacy. We do not sell, rent or share your information with anybody, and will only use this data to send you information you have requested.